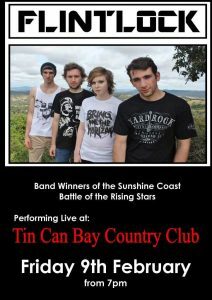 Flintlock are the winners of the Sunshine Coast Battle of the Rising Stars Original Band. This dynamic and energetic outfit performs lively covers and alternative rock originals from a modern perspective. Ethan Roberts (Lead Vocals/Rhythm Guitar), Ryan White (Lead Guitar/Vocals), Siana Davis (Bass Guitar/Vocals) and Caleb Wilson (Drums). 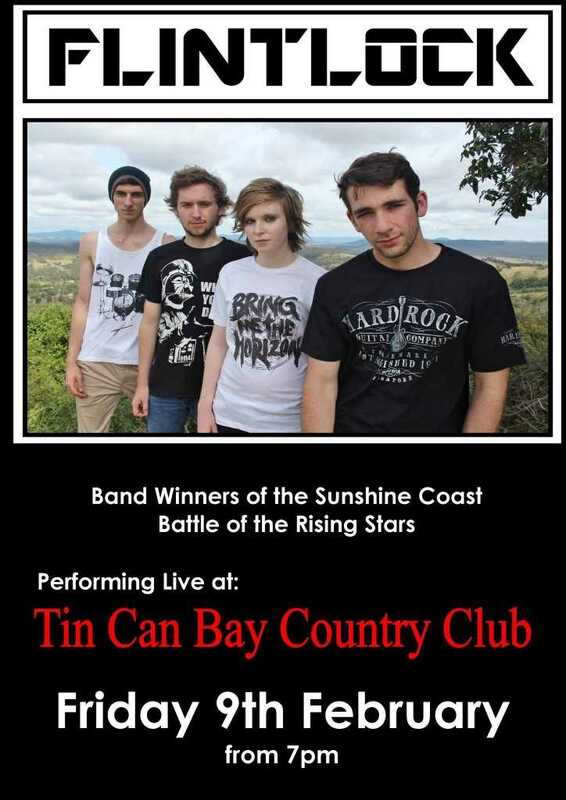 See them live at the Tin Can Bay Country Club February 9. You can also see Debbie Robertson with her Contemporary 50s-to-Now selection on February 2, acoustic duo Till Dawn on February 16 and Aussie, country, rock ‘n’ roll, line dance and more with Billy Guy on February 23.